Bonus points awarded for pics. And please, no killjoy posts about how this is bad for us, we should quit, etc. That has been covered quite sufficiently elsewhere. mmmmm ... making me want one just talking about it! I have been taking a break from cigars lately. The last few times I smoked them I got very dizzy and nauseated. I've got a nice Alec Bradley Tempus sitting there waiting for me to smoke it though, so I'll probably fall off the wagon sooner rather than later. Haven't been on much lately and I can't believe I would miss a thread for cigars. I'll have to post again when it's not nearly 2am and I'm more coherent. I have such an urge to start getting into cigars more seriously. I only get them when someone goes to Cuba and brings some back for me, but I enjoy them, and they don't last long enough. They are sooo bloody expensive here though. Does anyone buy them online? When did this happen! Thanks for this thread. Enjoyed this pleasant Don Rafael Sungrown just yesterday. Thompson Cigar. I am very happy with them...I usually buy samplers so I can get decent cigars at intro cost. Thanks!! Their sampler packs seem really reasonable! I'm liking the Victor Sinclair samplers, esp the Series 55, best so far. Glad I could help! Hmm, I don't think they ship to Canada. I buy a lot from Cigars International in Bethlehem, Pa. You would hope with a name like that they'd ship anywhere. 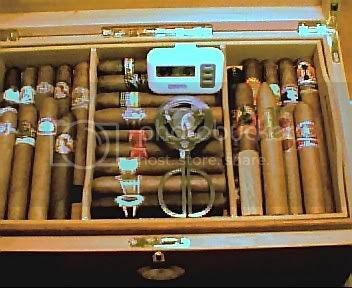 Here's a pic of my humidor in my living room. Just checked, and nope, they don't either. I guess that's what y'all get for being able to buy Cubans. I wonder if Canada started an embargo on Cuba, would they be able to get other cigars at a 'normal' price. CI has a great reputation (and deals) too! I have a couple of things I'm watching on their site but haven't bought from them yet! That's the first thing I thought! I found a couple of online places that do ship to Canada, but they seem to be running about triple the price compared to Thompson and CI. Yeah...these guy's samplers are high end and sky high but they ship worldwide! Yesterday morning out on the porch.....Don Rafael Sun Grown Torpedo! Here is part of my Liga stash and two of my wineadors. Are any of y'all on the cigar forums? That seems to be where I buy/trade for most of my smokes. If y'all are into HTF sticks you might want to check out online humidor. They always have some amazing stuff for trade or sale. @dmanual- I belong to Cigar Forums, same username I'm not that active on that though. I occasionally post what I'm smoking or a new box I bought. Llynncigars , if they are still around and Mrbundles will both ship worldwide and are reliable. I have not ordered any Cuban ones for some years as I can Usually find them cheaper locally of in airports/ abroad but the are a few Hong Kong decent dealers that are cheap. Yes, I buy most of mine from JR Cigar, but sadly it doesn't look like they ship outside the US. It got off to a bit of a slow start, but I'm glad to see it starting to take off. I was a pipe smoker and didn't like cigars that much. I have a big box that I bought in Amsterdam during 2003 and it is still 2/3 full. I tried some from time to time though. But I like pipe tobacco like aromatic cigars and I used to smoke Backwoods and Captain Black, usually during holidays and leisure time. Now you opened my appettite to try them again. 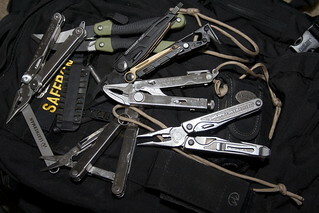 I had a scissors type of cigar cutter my wife bought for mme that was seizured by my daughter. 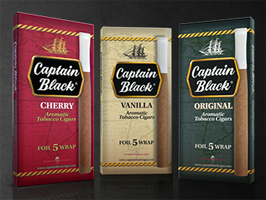 These are the Captain's cigars. Look closely on the right side of each pack. I enjoy cigars, but I'm more of a pipe smoker myself. 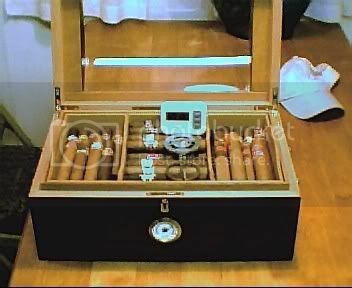 Another hobby that involves accumulating all sorts of gadgets..... About 15 minutes from here there's a JR Cigars outlet. Place is basically a giant walk-in humidor! The wood floor in it is actually from a Cuban cigar factory. Pretty cool.